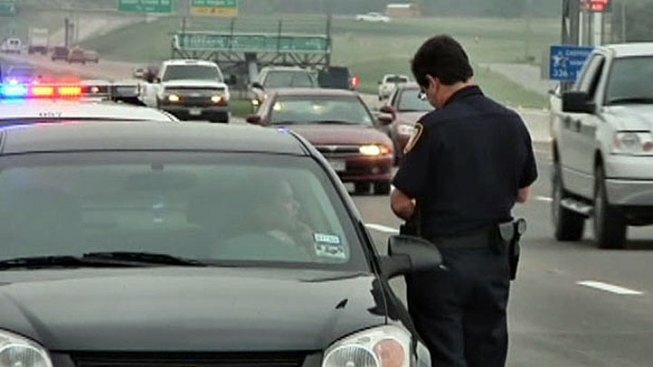 Officers will no longer have to spend time writing tickets. Police in some parts of Cook County will begin issuing tickets in a new way. The Cook County Clerk's Office said it will begin testing the "Quick Ticket" system as a pilot program in four municipalities starting Monday. The new electronic tickets are meant to expedite routine traffic stops and cut costs by more than $190,000 as the handling and processing of traffic citations will be entirely electronic. As part of the new eTickets system, officers will input offender information into a squad car computer that sends the ticket directly to the Cook County Court's main server as well as local, state and national databases. Meanwhile, a printer in the squad car will produce a slip for the motorist, relieving the officer of actually writing out the ticket. "It's going to help police officers not have to be at a traffic stop for a long time," Clerk of the Circuit Court Dorothy Brown said Monday at a live demonstration of the new technology. "It's going to cut down on traffic stops from about 12 minutes to 3 minutes, increase public safety and reduce redundant data entry." Brown said the County Clerk's Office plans to expand the program to 16 additional agencies by the end of 2011. "This system will effectively automate the creation, capture, transmission, and storage of a traffic-stop citation, from the squad car directly to the Clerk of the Circuit Court," said county officials in a statement.